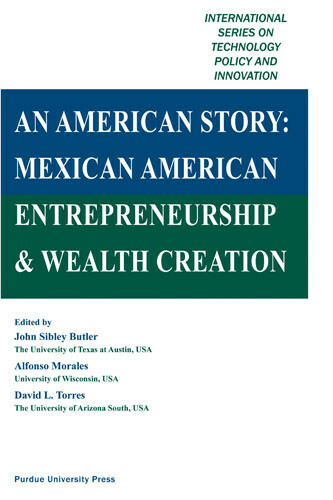 John Sibley Butler is professor of management and sociology at the University of Texas at Austin. His research areas are organizational science, with special emphasis on military and entrepreneurial organizations. He has published extensively in professional journals. His books include Immigrant and Minority Entrepreneurship: The Continuous Rebirth of American Society (with George Kozmetsky), All That We Can Be: Black Leadership the Army Way (with Charles C. Moskos), and Entrepreneurship and Self-Help Among Black Americans: A Reconsideration of Race and Economics. Alfonso Morales is Assistant Professor of Urban and Regional Planning at the University of Wisconsin–Madison. His books include Street Entrepreneurs and Renascent Pragmatism. Morales’s work appears in the American Journal of Sociology, the Law and Society Review, and Journal of Planning Education and Research, among other encyclopedias and journals. David L. Torres is Associate Professor and Coordinator of the Commerce Degree Program at the University of Arizona South. 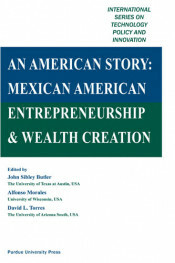 His work in the area of Latino wealth creation includes a chapter, “Latino/Hispanic Business in the United States” (Encyclopedia Latina: History, Culture, Society, Grolier Academic Reference, Amherst, MA, 2005), and articles “The Quest for Power: Hispanic Collective Action in Frontier Arizona” (Perspectives in Mexican American Studies, 1992), “How do Small Businesses Grow? : Linear versus Chaotic Effects of Growth on Performance Ratios of Minority Businesses” (Latino Studies Journal, 1990), and “Dynamics Behind the Formation of a Business Class” (Hispanic Journal of Behavioral Sciences, 1990), among others.